Called the valley of glaciers. Here mountains rise soaring towards the sky maximum altitude 5460m. The Langtang valley is suitably called ‘the valley of glaciers. The valley offers pine forest, swift mountain streams, rugged rock and snow-capped peaks, grassy downs and meadows strewn with daisies and wild primulas. In the upper part of the valley there are snow ridges spanning angry torrents, high passes enveloped in mist, tiny lakes of crystalline brightness and glaciated mountain giants. This region is one of the most attractive Himalayan destinations in terms of scenic beauty and easy accessibility from Kathmandu. We commence our trek from Syabru Bensi, on the well defined Trail to Langtang valley. The view of the Langtang Himal crowned by Langtang Lirung (7545m) is rewarding. 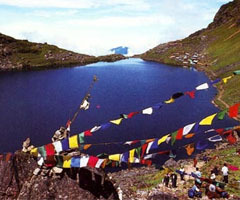 Trek highlights are Kyanjin Gompa, some Peaks, Best viewed from Lauribana and Gosainkunda holy lake. 01 Day Drive from Kathmandu to Syabru Bensi by Private Land carouser, We will drive from Kathmandu 07.30 am the road will take up to Kakani out of Kathmandu valley, one of the best view point for Panorama mountain, we may stop for phototherapy, then after going down to the trishuli Bazaar and continued to Syabru Bensi, a Journey of 8 to 9 Hours. Depending on the road condition, this road is called Pasang Lamu highway will twists in trishuli and climbs over ridges to the trishuli valley. 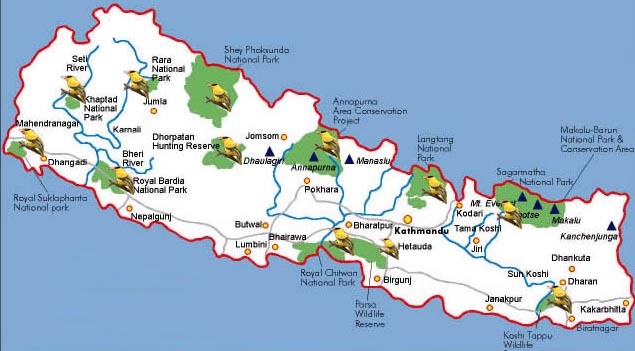 We will have lunch at trishuli then after we drive to Dhunche Road, a Nepal Army Road project. The road Journey will provide us beautiful views and mountain landscape and panorama views up to the Dhunche. From here we will drive down to Syabru Bensi over night Lodge. 02 Day After breakfast we will starts our trek to Lama Hotel, This is the first day hiking will be very excited to go up hill, the trail will taking the direct Langtang valley route about 6 to 7hrs. Through the beautiful forest, it is possible to see many different types' of birds and mammals on the way we may stop for wildlife spotting too. Lunch will be at Bamboo and continue trek up to Lama Hotel. The route is gentle but study uphill walk the whole way. 03 After break fast we will start our walking to Langtang valley, the trail will leads us to uphill through the beautiful old pine and mixed forest, here also we may see lots of birdlife and animal life. From the half way up we starting to see the mountain views and we will always follows the Langtang Khola which will provides you strong river sound up to Ghora Tabela. Here we will have the lunch, after the lunch we will continue to our destination but may fill bit harder for walk because of altitude, we will be already above 3000m so you can compare of alpine thin air. 04 Day Langtang is biggest village in this part so you can see all the Tibetan people around this area. This settlement was the first settlement in this part because the Chain's when they started to ruling the Tibet, these people where moved from Tibetan palate so you may meet some people are sealing there owned product. Langtang is the more then thousand meters higher than Lama Hotel will probably feeling the extra altitude, so the trek from Langtang to Kyangin is easy routes we probably arrive for the lunch. The Langtang Valley is still steep-sided so after few minutes walk to Kyangin will open the full mountain views. 05 Day this will be the extra day or rest day. In this day you can explore the area by day hiking likes climbing to the some of the peaks, visiting to the glacier or some slope to the Langtang Khola as your choices, will be excellent time to be along the this part and you can enjoyed to view the mountain from this point. 06 Day After the break fast we will return trek back to Lama Hotel, will be easy hike down going up any way but it can be harder for your Knee so you have to take care very much and walk down and stay over night at Lama Hotel. 07 Day We still going down to the Landslide and then start to hike up to Thulo Syabru, the trail climbs through dense bamboo and pine where monkey and dears possible to see. Before we arrived Thulo Syabru the trail opens in to a huge field and splits up in view of the village. The line of houses sits atop a prominent ridge; some are made of stone with shingle roofs and a pleasing numbers of traditions windows. This is another biggest village in this area and from here will provide us beautiful view and also will able to see various peaks all of are in between 7000 and 6000 m.
08 Day After breakfast we will trek to Lauribenayak, today is the harder days because we had to always climb to the lauribenayak. The climb, from Syabru is through outstanding mixed old pine forest which offers us most spectaculars views and beautiful landscape, then we will arrive at Pati Bhanjang at the top and will be the lunch sport at Pati Bhanjang, This point will also provide us one of the best Panorama mountain views including Manaslu, Ganesh himal Langtang and Tibetan range and we will continue to our trekking point on the beautiful alpine meadows forest, littered with rhododendron and juniper bushes and carpeted with anemones, irises and a variety of primulas and many different plants. Especially in this part botanists will be in their element for the next few days, and the views are magnificent from the lauribenayak. To the west, over the cavernous trishuli Valley, stand Himalchuli, Manaslu and Ganesh Himal, whilst Langtang Himal lies just to the north. We will stay over night Lauribenayak for acclimatize. 09 Day Explore around the Gosainkunda Lake 4388m area and back to Chandanbari 3350m. 10 Day this will be easy and generally downhill all the way to Dhunche. Though, of course, there will always walking through the forest. The trail down is very steep and you will get a lot of pressure on the knees, so go slowly and take frequent rests. Going down can actually be a lot easier than going up any way. Surrounding country becomes quite forested and in the spring you will see many Rhododendron flowers in bloom in the spring. On our trekking period the people of this last, long, undulating ridge are all Tamang, an ethnic group with their own distinct customs and language. The Tamangs are a Mongoloid race who probably migrated across from Tibet and China thousands of years ago (in Tibetan, Tamang means 'horse trader'). They are Buddhist by religion. 11 Day after breakfast we will drive back to Kathmandu.